Newport Computer Games Students wins CryENGINE3 Level Design Competition! Congratulations to Karl Livesy (currently a second year student at Newport), for winning the CryENGINE3 Level Design Competition which took place at GameCity last October. More information can be found on the GameCity website. Below is an image from Karl’s competition entry. Q.U.B.E. pays back it’s initial investment and think about expanding! After successfully launching Q.U.B.E. on Steam on the 6th January, the game sold over 12,000 copies in just 4 days, which enabled them to pay back the $90,000 investment from Indie Fund. More information can be found on Gamasutra. 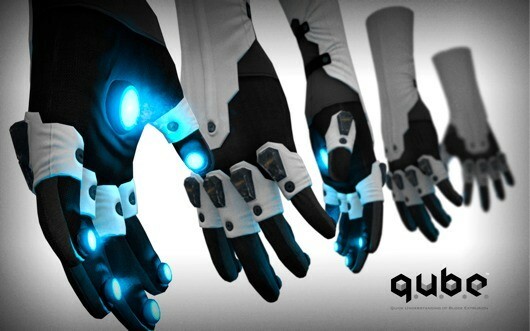 In an article for Joystiq, Dan Da Rocha also confirmed that they are already working on getting Q.U.B.E. ready for a Mac release and prototyping an iOS version. They are also planning Q.U.B.E. to be release on the OnLive platform soon. The Huffington Post has named Thomas Was Alone in it’s list Top Ten Indie Games for 2012. Q.U.B.E. is released and is getting great reviews! Q.U.B.E. has now been fully released on Steam, Desura, Gamersgate and Playism. A demo is also available via Steam. Q.U.B.E. has been received really well, here are a few of the reviews… Rock Paper Shotgun, Kotaku, DIY Gamer, The Play Vault, Giant Bomb, Shack News, Velocity Gamer, Super Level, MM Gaming, Just Press Start & The Review Cast. Q.U.B.E. is the first game to be released by Toxic Games: Dan Da Rocha, Jon Savery and Dave Hall, with the help of Indie Fund. It is also the fist game developed by Newport students to get commercially released. Well done guys, keep up the good work.